Considered as the first portable laser-based therapy system, the MR5 Active Pro with LaserStim boasts with both TARGET as well as DOSE technology—making it one of the best inventions in the medical industry. This FDA registered cordless laser therapy system has registered impressive results when it comes to treating different musculoskeletal conditions. Featuring a peak Super Pulsed laser power of 50 W, the technology used in the Active Pro guarantees powerful and faster treatment without compromising on the skin temperature (i.e. raising it). This laser used by Synergy Wellness Chiropractic & Physical Therapy located in NYC is a powerful Class 1 laser, comes with a laser as well as an electrical stimulation impedance meter all in one probe. With this technology, you can be sure of safe delivery of light into the body’s deep tissues—which facilitates the necessary absorption. 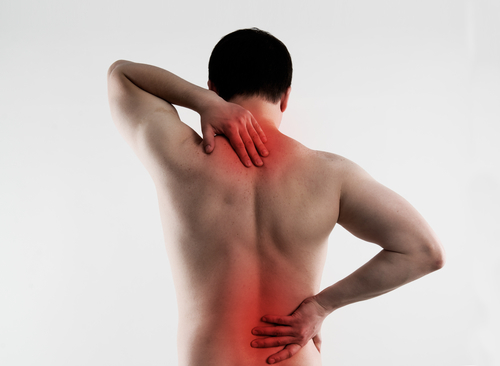 Of course, increasing power tends to speed up treatment and offer quick and powerful pain relief. However, unlike other technologies such as that of Class IV lasers, this Active Pro doesn’t bring unwanted photothermal effects. L.A.S.E.R. (Light Amplification Stimulated Emission of Radiation) is a name for a beam of light in which high energies are concentrated. Laser has unique physical properties, which other types of light do not have. Coherence and monochromaticity are what makes laser light so effective compared to other types of light therapy in the field of pain reduction and healing. Cold Laser treatment (also known as low level laser therapy, phototherapy or deep tissue laser) involves low powered coherent light to injuries and lesions to stimulate healing and reduce pain. It’s used to increase the strength, quality, and speed of tissue repair, reduce inflammation 40-50% faster and provide relief from pain. Low level laser technology has been found to provide superior healing and pain relieving effects compared to other electrotherapeutic modalities such as ultrasound, especially in dealing with chronic problems as well as early stages of acute injuries. Laser technology with the MR5 Active Pro with LaserStim is a complete system of treating tendon, ligament, muscle, connective tissue, nerve, bone, and dermal tissues in a non-invasive, drug-free modality. How does cold laser or deep tissue therapy work? The effects of low-level laser or cold laser therapy treatments are photochemical. A photon enters the tissue and is absorbed in the cell’s mitochondria and cell membrane. Photosensitizers in the body generate reactive oxygen species following laser therapy thereby influencing cellular redox states and the mitochondrial respiratory chain. Inside the mitochondria, the photonic energy is converted to electromagnetic energy in the form of ATP (Adenosine Triphosphate). Cell wall permeability increases, which causes physiological changes. These physiological changes affect fibroblasts, macrophages, mast cells, bradykinin, endothelial cells and nerve conduction. The physiological and clinical effects are obtained by how tissues absorb laser. Tissue absorption depends on the wavelength of the Laser, the power to assure that the laser energy reaches the target tissue, proper clinician protocols by an experienced doctor of chiropractic. Improper wavelength of laser light will not penetrate the tissue to reach the desired target area. However, even if one has a laser with the proper wavelength, if the device does not have enough power, the target area may not receive the best potential benefits. All lasers emits light at a very specific wavelength which interacts with the different tissues at different levels or depths, therefore clinician knowledge is of utmost importance. The use of high powered super pulsed based laser maximizes the biological phototherapeutic effects. This technology doesn’t just only treat symptoms of various conditions. It also promotes/ speeds up the recovery process within the cells. Here are the top benefits of using this non-invasive treatment option. Super Pulsed Laser technology helps you spend less time in recovery. Validated in vitro, clinical trials, and lab experiments, the MR5 Active Pro with LaserStim is safe for all kinds of skin pigmentation and doesn’t raise its temperature. The MR5 Active Pro With LaserStim comes with a TARGET feature that makes it possible to determine exact pain points. TARGET (an abbreviation for Treatment Area Recognition and Guidance Enhanced Technology) removes uncertainty when it comes to where the pain is coming from. It does this by making constant tissue scans and uses DOSE to administer proper super pulsed laser amount. DOSE (an abbreviation for Dosimetry Optimization by Skin Electrophysiology) is then tasked with detecting and providing feedback until complete normalization is achieved. The high-powered light from the laser drives pulses into the targeted area. This technology is all about precision since it administers the precise dose at the exact target area—which saves time. With MR5 Active Pro with LaserStim, we have a tool that is easy, safe, as well as effective to use. It comes with the TARGET technology—which offers optimal treatment locations. The technology enables our chiropractic physicians and physical therapists at Synergy Wellness Chiropractic and Physical Therapy located in Manhattan, New York to target the exact dose and location needing treatment—which is an essential part when it comes to controlling therapeutic energy effects on the skin. Moreover, the tool is portable, pain-free and cordless. Call or email us today if you have any questions regarding cold laser therapy.